Anorak News | What do 10,068 radiated turtles in a small home smell like? What do 10,068 radiated turtles in a small home smell like? What do 10,068 live radiated turtles in a two-floor home smell like? It was the stench that alerted the authorities to the home in Toliara, Madagascar. Soary Randrianjafizanaka, of the country’s environmental protection agency, the home was stuffed with the critters.The smell was “overwhelming”. But not in a lip-licking way – unless you enjoy the stink of urine and worse. Randrianjafizanaka helped count them as rescuers loaded them onto six trucks that made several trips to Le Village Des Tortues (Turtle Village in French), a private wildlife rehabilitation facility in Ifaty, 18 miles north of Toliara. 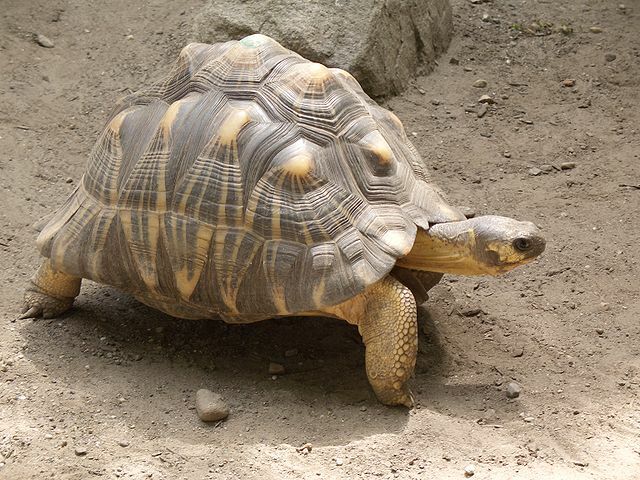 It took until early the following morning to transfer all the tortoises to the rescue center. The majority of the turtles taken to the rehabilitation facility are doing well, now that they’ve been cleaned up, moved into more suitable quarters, and provided with veterinary care. Unfortunately, close to 600 of the turtles have died since being removed from the house, due to dehydration or infection – the result of their long neglect. Trading in rare turtles is outlawed in 182 countries. “The rate of hunting of radiated tortoises is similar to the hunting pressure on American bison during the early 19th century, where they were nearly hunted to extinction when they once numbered in the tens of millions,” said Brian D. Horne, turtle conservation coordinator for the Wildlife Conservation Society’s Species Program. Of course, once upon a time, Westerners loved eating turtle. And if it was a local source of meat, surely many of us would eat them now. This story illustrates how something illegal creates a risky black market. During the Great Depression, gopher tortoises became such an important source of meat for rural Southerners that they earned a new nickname, “Hoover chicken” that honored, so to speak, our president at the time, Herbert Hoover. That species is now federally threatenedin Louisiana, Mississippi, and western Alabama, and is under protection everywhere it occurs. Diamondback terrapins, the beautifully patterned turtles inhabiting brackish waters along the East Coast, were harvested so heavily for food that the U.S. government started to get concerned about their vastly depleted populations more than 100 years ago. For centuries, the flavor was legendary, and, really, nothing said American democracy like turtle. The poor man could often find a few slow-moving specimens hanging out at the backyard well, even as the privileged man sought out its refined flavor. Two days after voting for independence in Philadelphia, on July 4, 1776, John Adams celebrated with a bowl of turtle soup; when the war was over, George Washington met with his officers at Fraunces Tavern in lower Manhattan for a farewell frolic; and Lincoln celebrated his second inaugural with terrapin stew. Before Aaron Burr murdered Alexander Hamilton, both were members of the elite Hoboken Turtle Club.